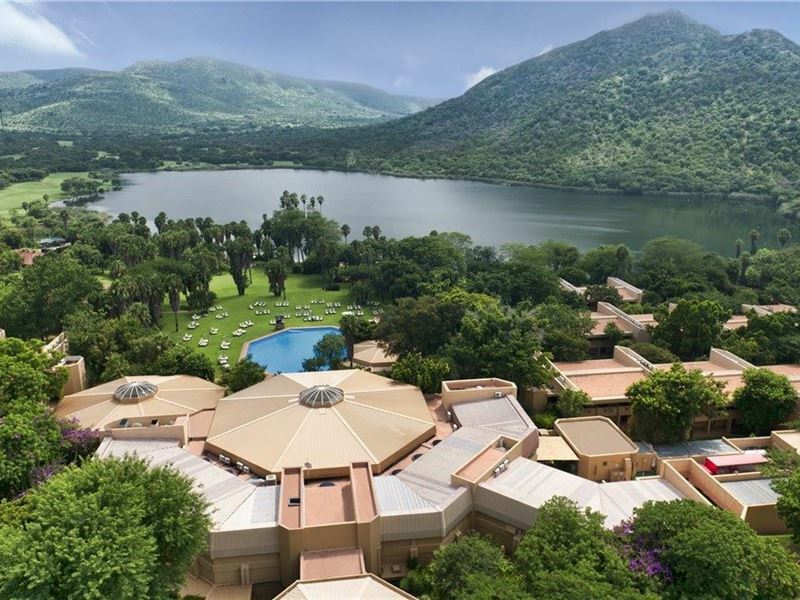 Nestled in the rolling hills of the Pilanesberg, one of South Africa’s most scenic locations, Sun City Resort, is a world unto itself and has earned its reputation as a world class premium lifestyle resort. 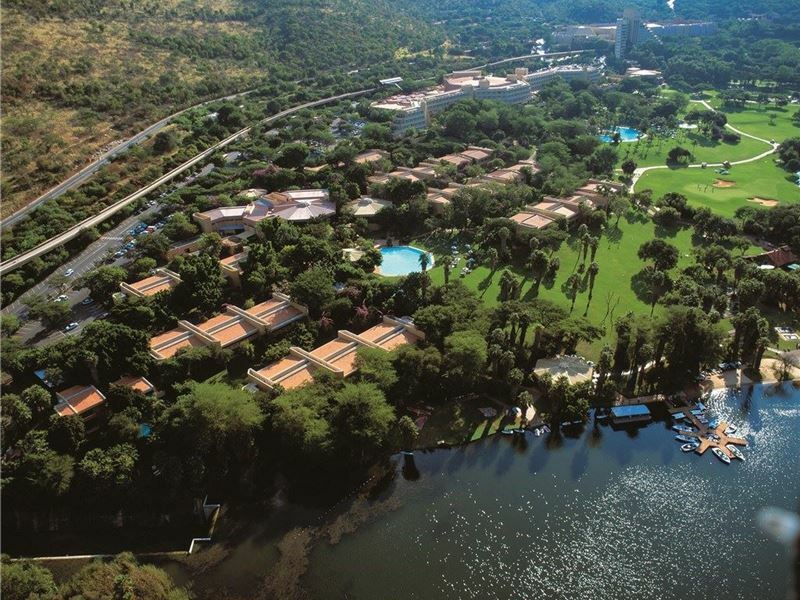 Whatever you want, you’ll find it at Sun City, from the sizzling entertainment and restaurants to cater for all tastes, to our more relaxed poolside venues, quiet places, lush gardens and extensive sporting facilities including two world-class golf courses, we also cater for people with special needs. These are just some of the elements that make Sun City unique to the world’s entertainment resorts. 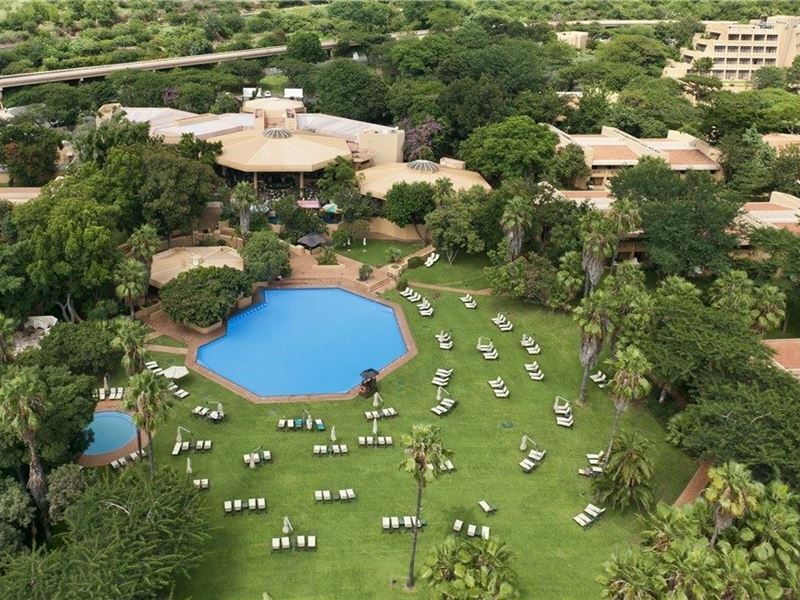 The wide choice of conference venues and hotel accommodation from The Palace of the Lost City to the informal Cabanas, as well as uncompromising standards and professionalism, ensure a level of excellence, which few can beat. The Palace of the Lost City and Valley of Waves are fabled to be the ruins of a glorious ancient civilization. Celebrate and bring to life the legends of the mystical city. The Lost City is internationally applauded for its wonderfully imaginative theme and exquisite landscaping whilst the fantastic Valley of Waves is one of the world’s most exciting water parks. 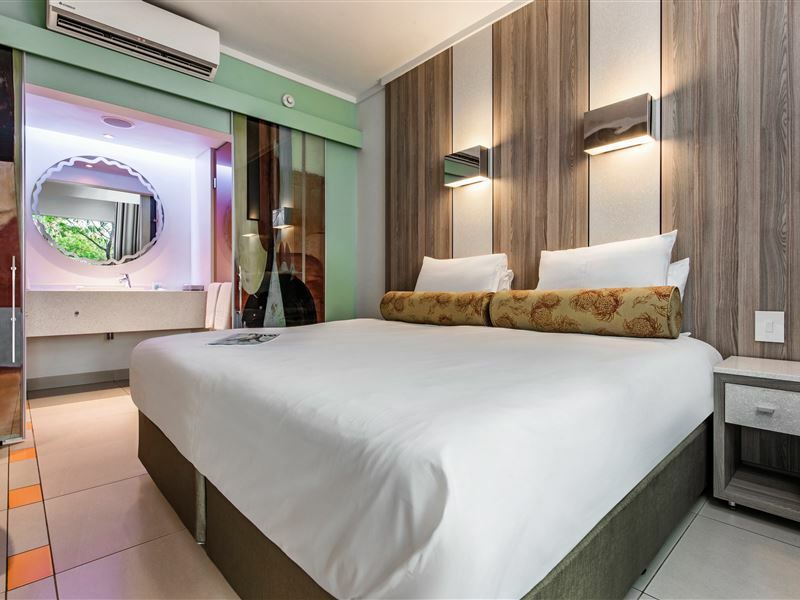 The newly refurbished island-style Cabanas hotel is situated at the Sun City Waterworld Lake, offering guests a contemporary twist and great ‘base’ to explore the resort. As the sun sets over the open spaces and rolling lawns the nights begin at the Cabanas Pool Deck, with chic cocktails and a vibrant island setting. The Cabanas pool will be closed during the following period for maintenance: 28 May to 21 June 2018. 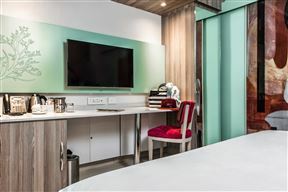 The Family Rooms can accommodate a maximum of 2 adults and 2 children under the age of 18 years. This room type is garden facing and either has 2 single beds place side by side or 1 double bed and a sleeper couch. 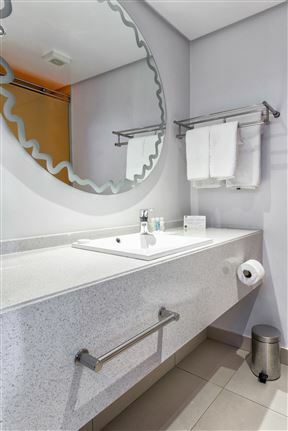 The en-suite bathroom consists of a shower, basin, toilet and amenities. All rooms come equipped with individual air-conditioning, televisions with popular DStv channels and a laptop safe. 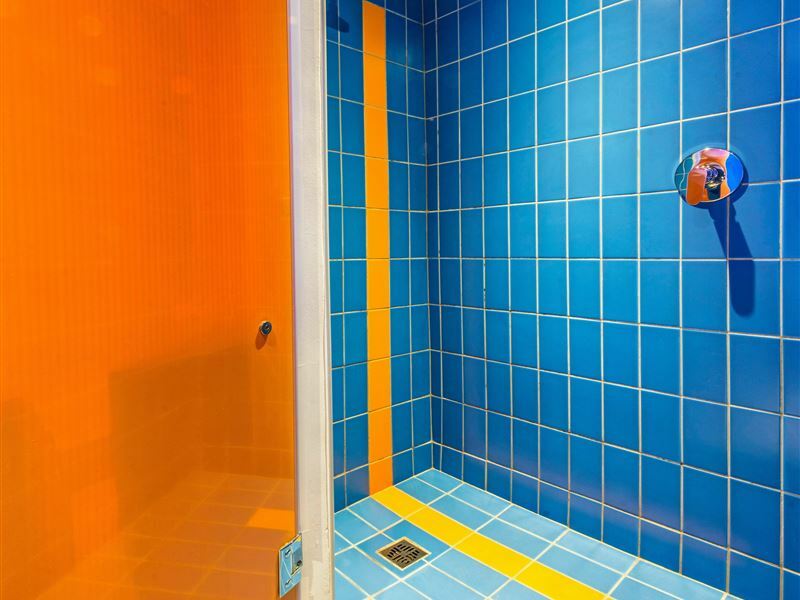 These rooms are 29 squared meters. Measuring at 26 square meters, these rooms have 2 single beds placed side by side but can be split. 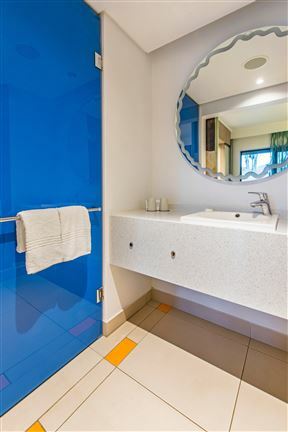 The en-suite bathrooms consists of a shower, basin, toilet and amenities. 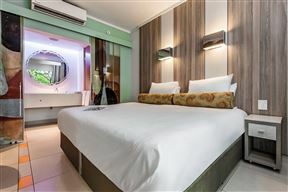 All rooms come equipped with individual air-conditioning, televisions with popular DStv channels and a laptop safe. A maximum of 2 guests can be accommodated in this room type. These lake facing rooms, measuring at 26 square meters, are allocated on the ground floor and first floor. They have 2 single beds placed side by side but can be split. 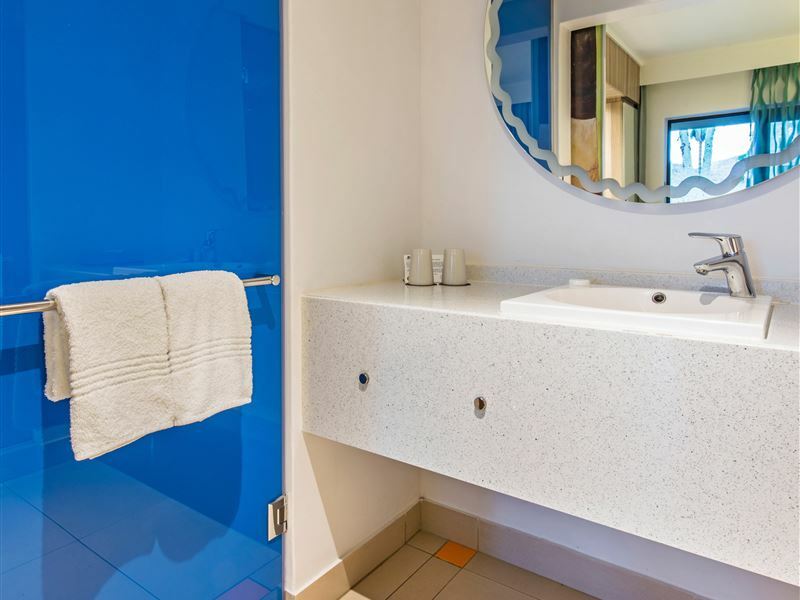 The en-suite bathrooms consists of a shower, basin, toilet and amenities. 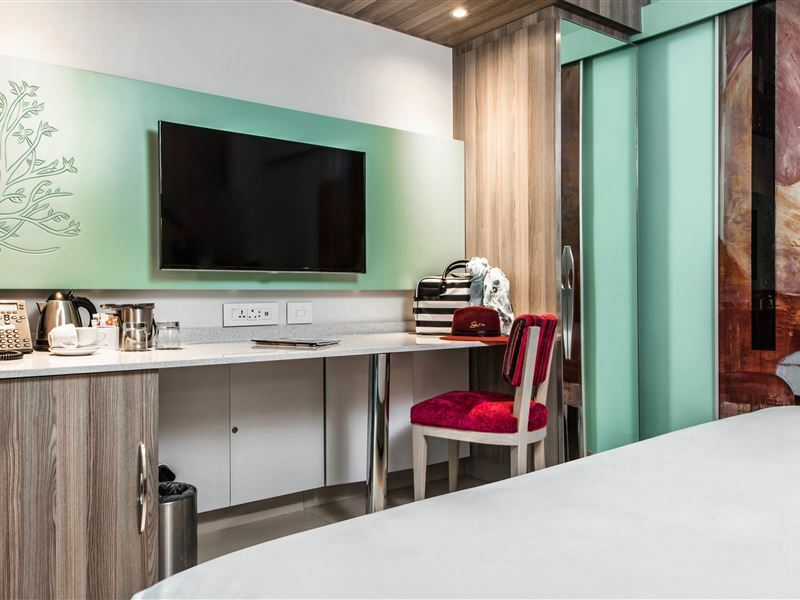 All rooms come equipped with individual air-conditioning, televisions with popular DStv channels and a laptop safe. A maximum of 2 guests can be accommodated in this room type. These Family Rooms can accommodate a maximum of 2 adults and 2 children under the age of 18 years. This room type is faces the lake and is located on the ground floor. They have 2 single beds place side by side or 1 double bed and a sleeper couch. 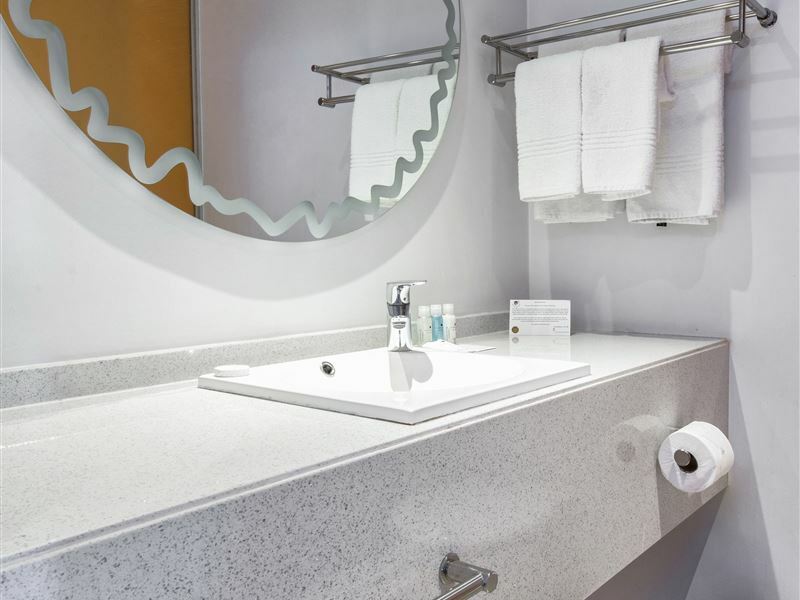 The en-suite bathroom consists of a shower, basin, toilet and amenities. 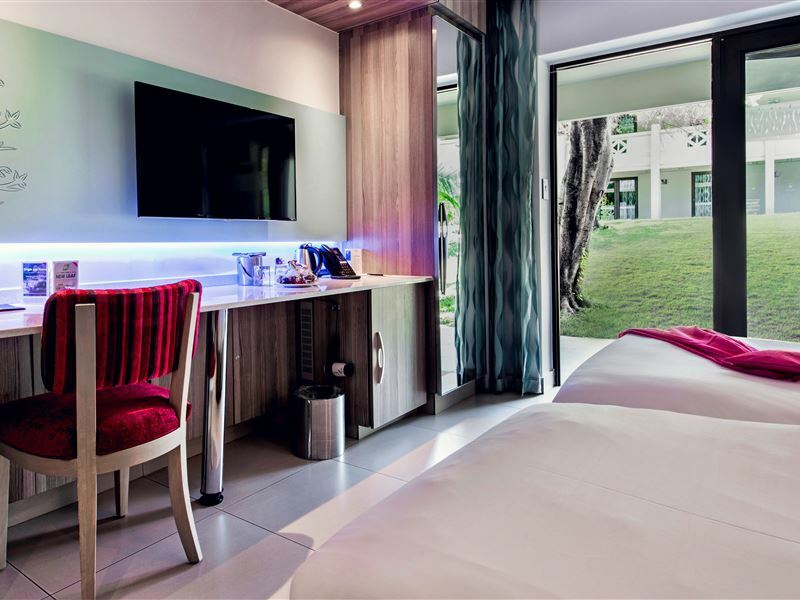 All rooms come equipped with individual air-conditioning, televisions with popular DStv channels and a laptop safe. These rooms are 29 squared meters. These Family Rooms can accommodate a maximum of 2 adults and 2 children under the age of 18 years. This room type is faces the lake and is located on the first floor. They have 2 single beds place side by side or 1 double bed and a sleeper couch. 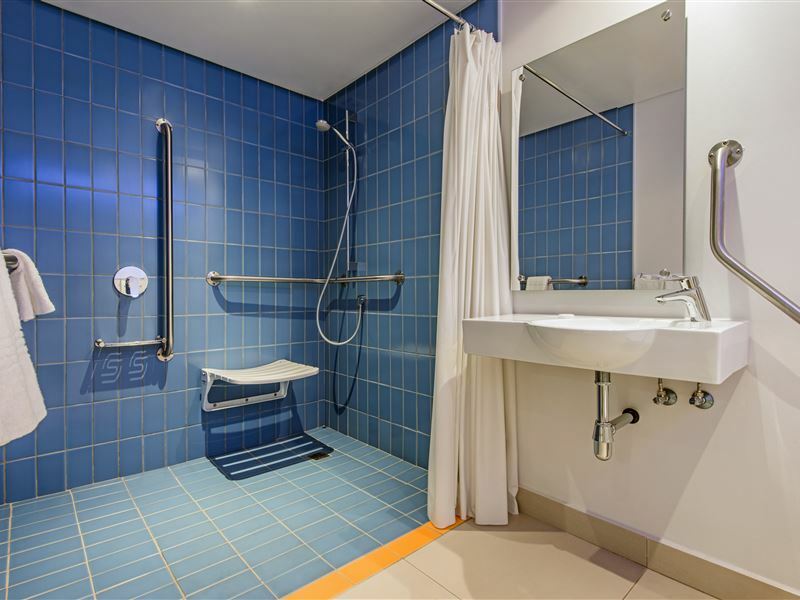 The en-suite bathroom consists of a shower, basin, toilet and amenities. 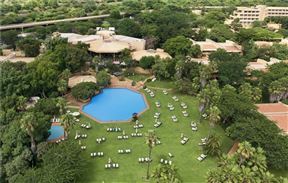 All rooms come equipped with individual air-conditioning, televisions with popular DStv channels and a laptop safe. 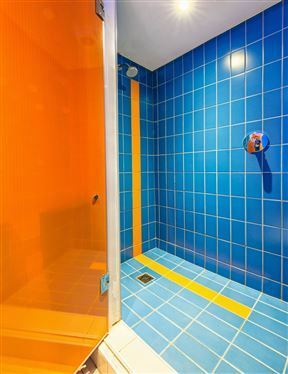 These rooms are 29 squared meters. 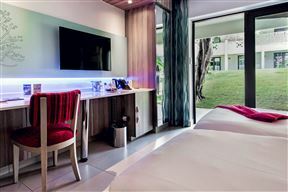 The rooms are situated on the hotel's ground floor to ensure easy access. 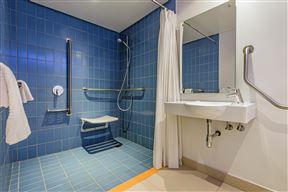 There are two twin beds in each one of these rooms and the bathrooms are equipped with showers and support railings. Very short,but remarkable and friendly service all the time!!! Wish I could stay for a week or so.